Great quality meat at a great price should be available to everyone. One way to ensure that you get the very best meat at the very best price is to buy whole animals and butcher them yourself. I understand that this is not practical for every animal but for all you pork lovers out there it is a totally realistic idea that you can butcher one at home. I was taught to butcher using very basic hand tools; knives, a bone saw and a cleaver. 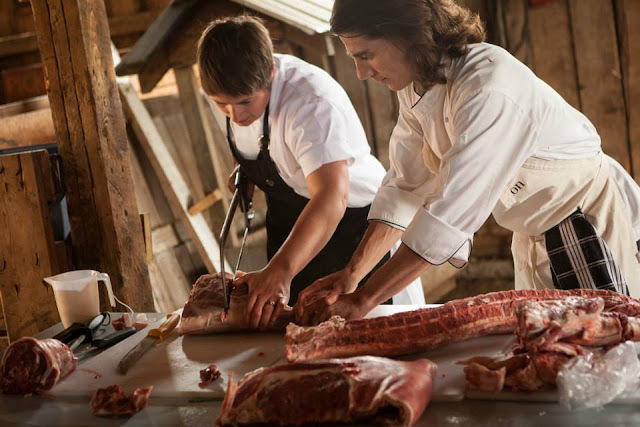 If the idea of butchering your own meat at home appeals to you then I am teaching a great class for Slow Food Edmonton. You will learn how to break down a whole pig, make sausages and even cure your own bacon. Join Slow Food Edmonton and Elyse Chatterton for a casual and fun evening of getting your hands dirty. Learn how to break down the whole hog and make some extras. Pork is from Jeff Senger and Sangudo Custom Meat. -Learn to make 2-3 different types of sausages, from the grinding of the meat all the way to stuffing the sausage. 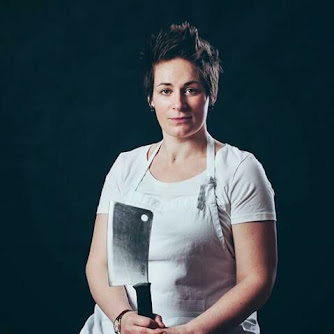 The cost of the event is $120 per person and this gets you hands on experience with Elyse, 3 lbs or more of bacon in a cure that you can take home and slice up yourself when ready. 2-3 types of fresh sausage for your freezers and tummies. Assorted cuts of pork that will include chops, roasts and all the bits that you want, split evenly between all guests there. Click here to head to the booking page. Slow Food Edmonton is a non-profit educational organization dedicated to supporting and celebrating the food traditions of Edmonton and Northern Alberta. From animal breeds and heirloom varieties of seeds, fruits and vegetables to handcrafted wine and beer, farmhouse cheeses and other artisanal products; these foods are a part of our cultural identity. They reflect generations of commitment to the land and devotion to the processes that yield the greatest achievements in taste. These foods, and the communities that produce and depend on them, are constantly at risk of succumbing to the effects of the fast life, which manifests itself through the industrialization and standardization of our food supply and degradation of our farmland. By reviving the pleasures of the table, and using our tastebuds as our guides, Slow Food Edmonton believes that our food heritage can be saved. Slow Food Edmonton believes that pleasure and quality in everyday life can be achieved by slowing down, respecting the convivial traditions of the table and celebrating the diversity of the earth’s bounty. Our goal is to put the carriers of this heritage on center stage and educate our membership on the importance of these principles.